I know spring has only just started, but its never too early to start dreaming of those warm summer nights. The backyard barbeques with their sweet smoky scent. The satin breeze caressing your skin as you watch the stars. I can hardly wait for summer, and I love a bargain. If you share these two passions, then we have things to talk about. 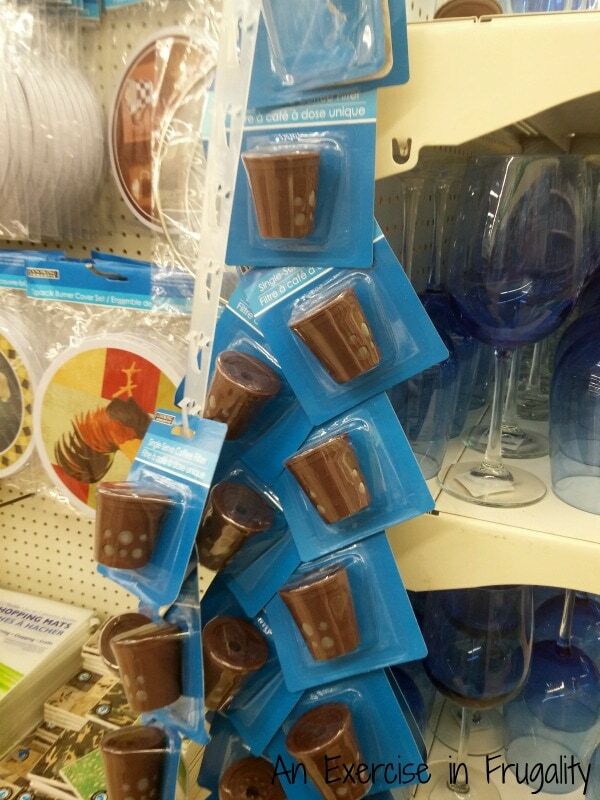 I went to the dollar store today to look around. I wasn’t really looking for anything in particular, but I hadn’t been in a while so I thought I would see what was new. They have so many awesome things! You need to be careful at the dollar store, not everything there is necessarily a good deal, but if you look around, chances are you will leave having scored quite a bargain! These are my top 13 picks (I couldn’t narrow it down to just ten!) 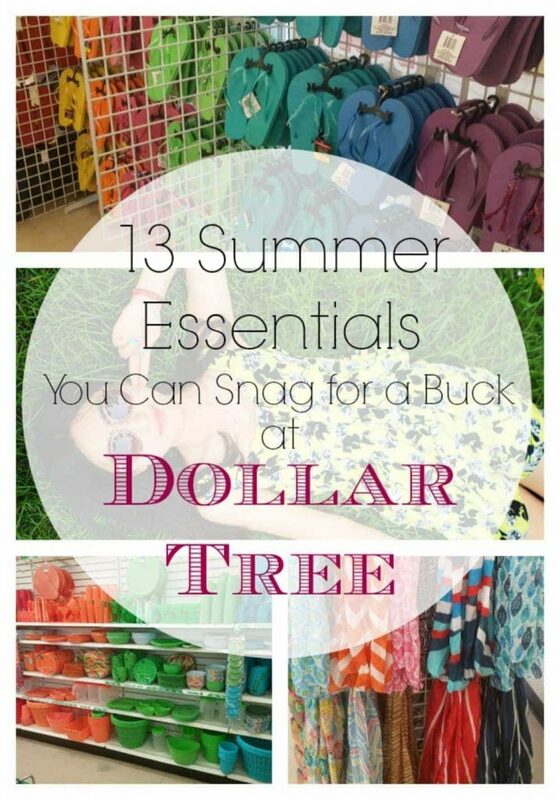 of summer essentials that you can score at the dollar store for just a buck a piece! These are wardrobe essentials. As the seasons are still transitioning, these light scarves are perfect to dress up an outfit, and can double as a small pashmina when the sun goes down. 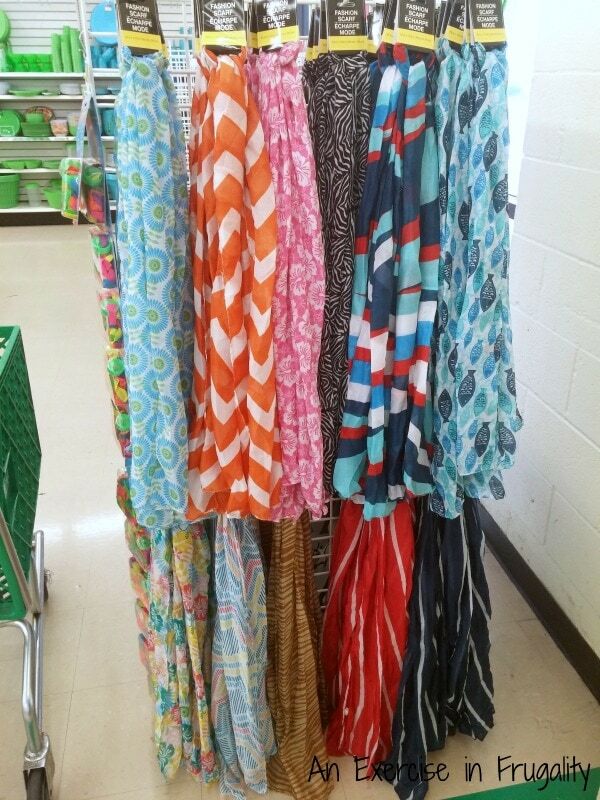 They have so many cute colors and styles and at only a dollar, you can afford to grab them all! 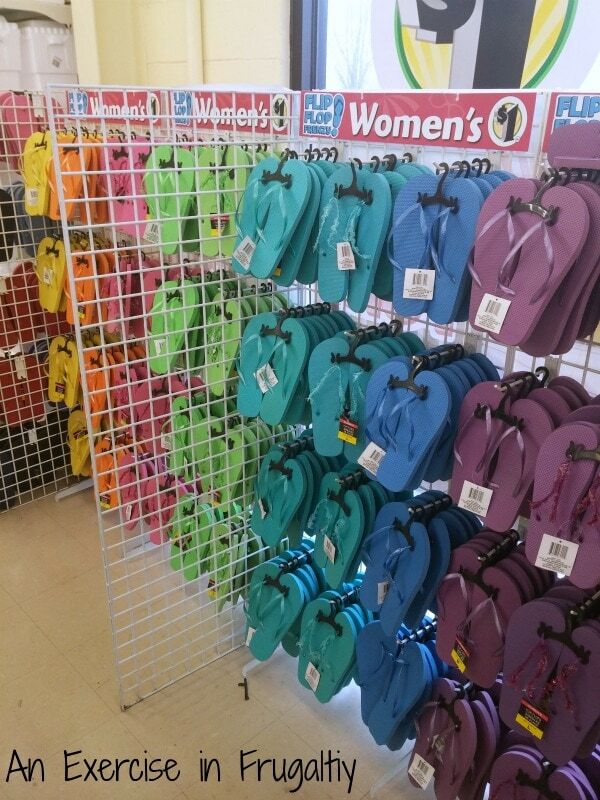 Flip flops are the quintessential summer footwear. At just a dollar per pair, you can grab one in every color for every member of the family! Some of them even had beaded embellishments. So cute! This is a steal of a price too. You can never have too many coolers. They are absolutely essential for backyard BBQ’s and trips to the beach. This one is small, but its the perfect size for a 12 pack of soda or adult libations. 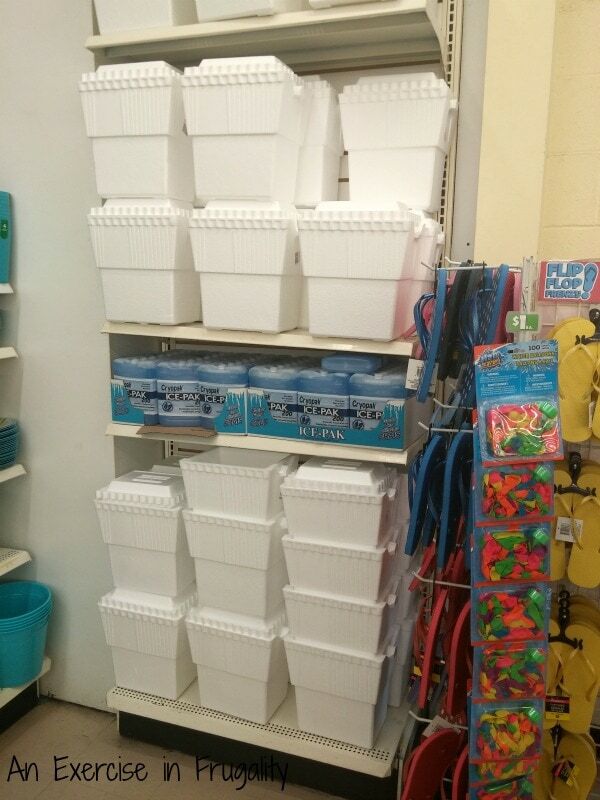 Its also the perfect size to make a DIY styrofoam cooler air conditioning unit! I know someone who tried it and said it worked really well! Plastic Patio Partyware. Try saying that 5 times fast! This stuff is actually nice quality plastic, and I absolutely adore the blue wine glasses (not pictured, but you can see the green ones on the top shelf). There’s quite an assortment here and they are such fun, vibrant colors perfect for grilling on the deck! If you love to garden, you know it can get expensive quickly with all the tools, pots and accessories. 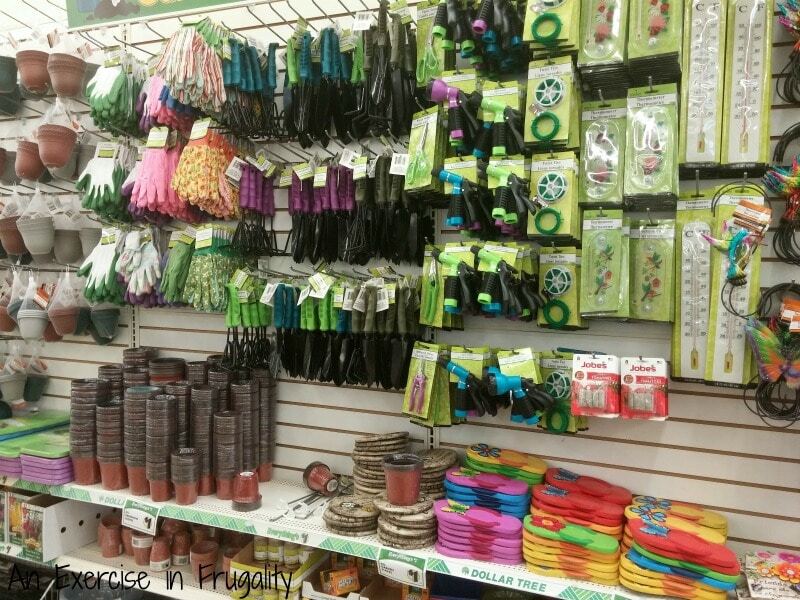 These Dollar Tree finds are perfect for gardening without the big price tag! They had a huge selection of tools, nozzles, gloves, stands, pots, seed starters and even seeds (4 packets for a dollar!!) 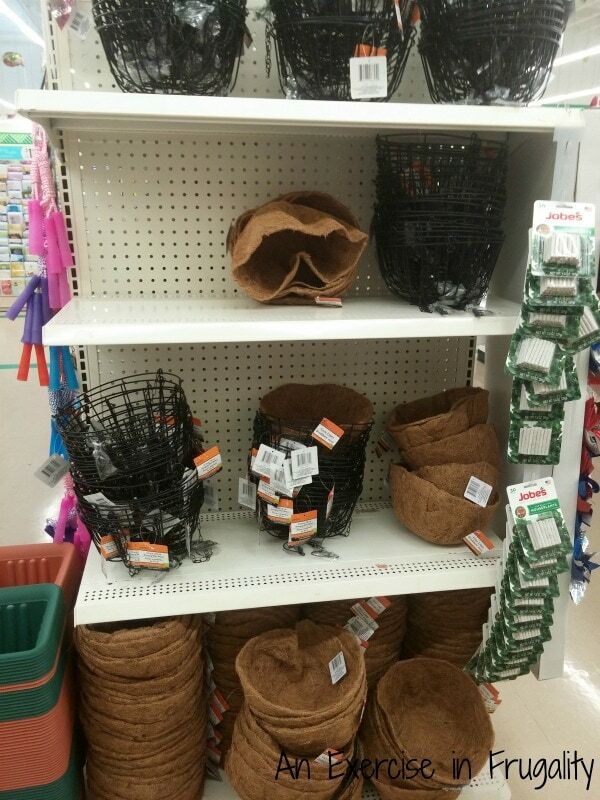 I would never have thought to look at the dollar store for gardening stuff, but I am glad I stumbled upon it! I love these hanging pots with the coconut liners but I have always found them to be a bit pricey. Not anymore! These were just a dollar each (sold separately). You could line your whole patio with these baskets for a lovely, lush look without breaking the bank. Summertime means playing hard OUTSIDE, much to the joy of parents everywhere. Make sure your kids have lots of things to play with in the great outdoors to prevent boredom. 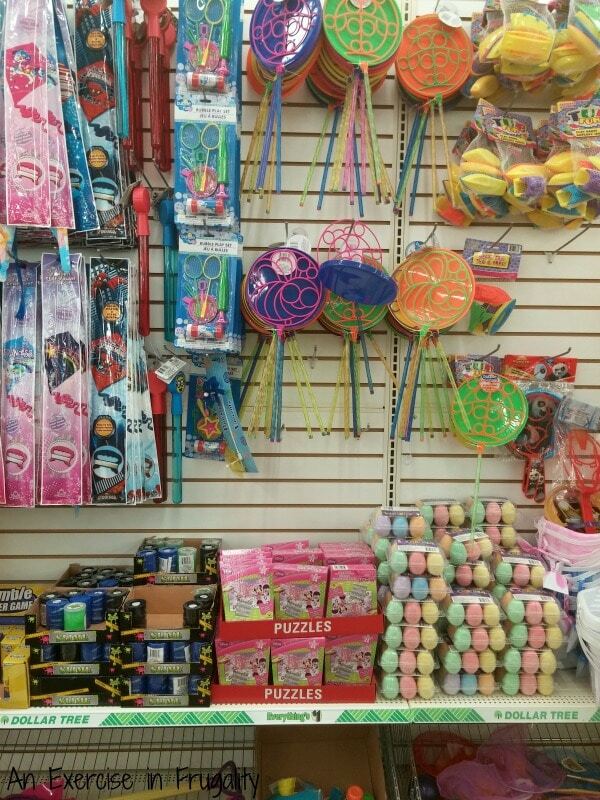 My favorites as a kid were bubbles, kites and sidewalk chalk, and the dollar store has a huge selection to choose from. These are great to keep the kiddos entertained at block parties and barbecues as well. You didn’t think I was done talking about grilling did you? 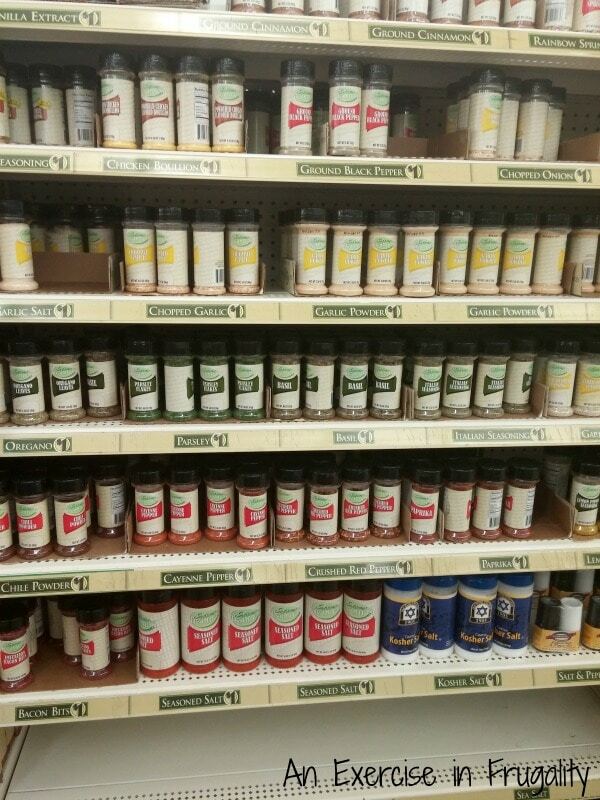 There’s a huge assortment of seasonings, spices and condiments here. Perfect for seasoning the fresh ground beef, or encrusting chicken breast or fish. Don’t forget, Dollar Tree also accepts manufacturer coupons, so if you find brand-name condiments (or anything else) you can use coupons on them too for extra savings. Make sure you’re stocked up on ketchup, mustard, mayo and more for all the grillin’ festivities. Garage Sale Season is my faaaavorite time of year! 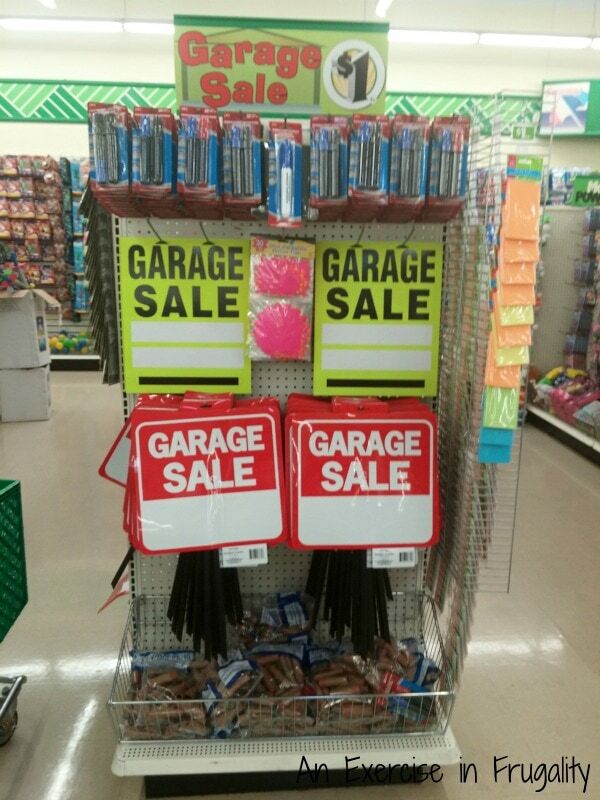 If you’re hosting your own garage sale please send me your address you can grab all your advertising essentials at Dollar Tree. Everything from sign-making materials to coin rolls, price tag stickers and more. Good materials don’t have to cost you all your future profits! Aren’t these gorgeous? 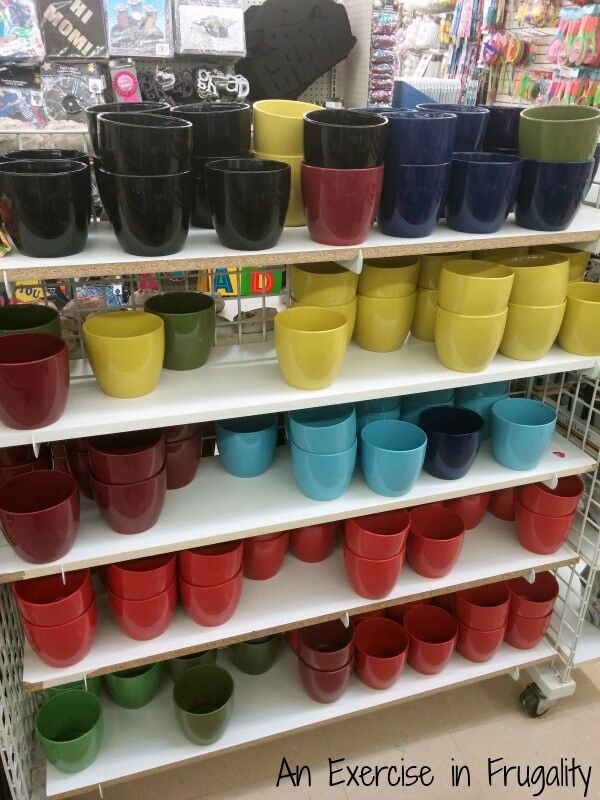 I love the pops of color that these flower pots provide. At just a dollar a piece, you can use these for all sorts of craft projects These aren’t cheap plastic either, they are nice quality ceramic! I might just have to grab a few to plant succulents on my kitchen windowsill! Ok, you got me, this isn’t really a “summer” essential, but this was too good a deal to pass up. It looks like these would fit in your Glade or Airwick plug in oil warmers. I bought one to try out, I’ll let you know how it goes, but if they fit this is a great price! This post was not sponsored in any way by Dollar Tree, I just found these items on a recent trip and thought that it would be good to share since these are great items for summer! Looking for some fun summer crafts for kids? 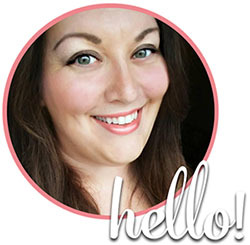 Check out this post from Seasonal Family Fun! 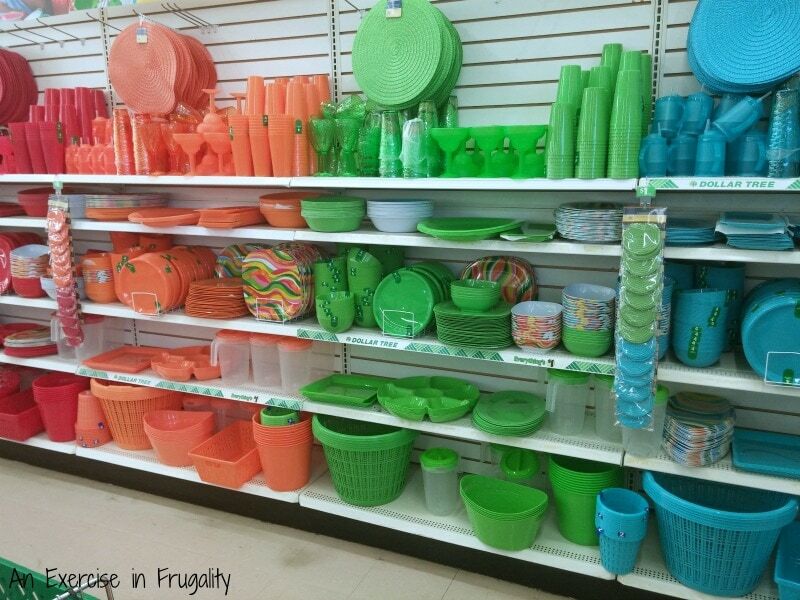 What’s your favorite summer essential at Dollar Tree? Wow, I am not so sure about the rib eye. hah, I am curious to know if anyone has tried it as well. Have you used the flower baskets at all Rose? I’ve been wanting to hang some up in the front and back yard but don’t want something that is going to be too flimsy. I know right? 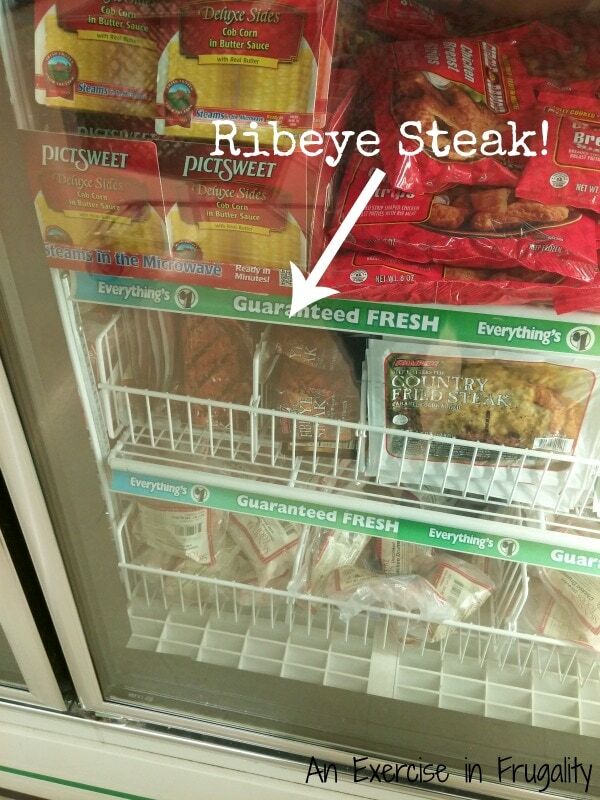 I am really curious about the steak. I may go pick up a couple just to test it out! I think they are on the small side from what I could see. I’ll report back if I try them! I haven’t used the flower baskets but I am considering going back and grabbing a few for my patio. I’ll let you know if they look too flimsy. I wish my Dollar Tree had half of the things yours does!!!! 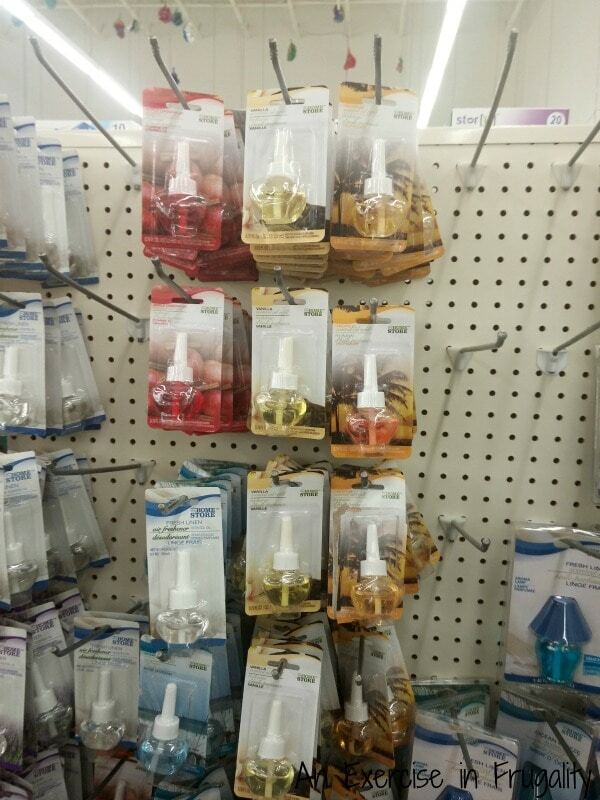 Did anyone try the air freshener? I have a Glade holder and I bought one of the Dollar Tree refills. I will let you know if it fits. did the refill fit in the Glade plugin warmer?